I love this skirt, but I don't wear wrap skirts (that is, I haven't worn a wrap skirt since about 1977) so I have put this on my list of cool ideas to steal someday. Banding alphabet fabric (of which I have a gracious plenty) at the bottom of a plain A-line skirt? Genius. What good ideas have you wanted to steal lately? I knew this would happen. I asked y'all to make a list of your online — how could I think that I wouldn't do a little browsing? And that a little browsing wouldn't naturally lead to an "OMG! I MUST HAVE THAT!" moment? Deco Vibe: You Can Has? This is the new HotPatterns dress, and I'm really feeling it — can't you see the Duroesque nature of the short version that's front and center? That kind of louche, -flavored 1970s attitude is becoming ever more attractive as we head into a sweater-wearing, oil-crisis-flavored 1970s deflationary malaise … and Jeremy from HotPatterns offered me a copy of this pattern, too! The thing is — as much as I love the feel of this pattern, I'm just not up to it. I don't have a slinky bone in my body (forget the oxymoronicness of "slinky bone": you know what I mean). And you can't put pockets in this one, and I know I'd put that gorgeous grey clutch handbag (in my head it's suede, of course) down to pick up my cell phone or a Diet Coke and it would be gone forever, with my car keys in it. So instead of hoarding the pattern to myself, and taking it out every once in a while to double-check that yeah, I'm still not slinky, I'm going to give the pattern (when it comes) to one of you. One you slinky goddesses out there, or one of you who can fake "slinky goddess" when this pattern hums a few bars. What do you have to do to get it? You have to add a link to one of your favorite online fabric stores to the Vintage Pattern Wiki's new page! I've put one link in there so far (just the first one I could type the URL of off the top of my head, which, frankly, is frightening) as a model. I'll look at the page history next Friday and choose one person who has added a link to get the pattern — so if you want to win, it helps to be logged in to the wiki, so I know who's who! Anyway: back to the contest! If every tenth person who reads this blog adds just one link … let's just say there probably aren't that many online fabric stores in the world. Have fun! Julie (of So-Retro Vintage Patterns) sent me this link to one of her babies. (Click on the image to visit the listing). Back me up on this, folks — the woman on the right could fit HER OWN HEAD into her pockets, right? I'm not hallucinating? Actually, even if I AM hallucinating, I'm not sure I care. Really, if you compare these pockets to all the that seem to be causing every celebrity ever snapped by a tabloid to list slightly to the right, they seem restrained — sane, even. I do like how the woman in red has turned her face away from the spectacle, but is casting her eyes back … Can't look, can't look away! D) "I'm wearing them right now, AIFG!" The dress above is something I would love, someday, to be able to make. (It's the , from the Chicago History Museum.) Let's assume, whether it's true or not, that I don't have to be a staggering 10K-hour rocket scientist to make it, but could skate by on merely 8K hours of practice. How far am I from being able to make this dress? I wish someone hadn't snapped up this pattern (from Lanetz Living) before I got to it … it's one of those ones that I want just for the illustration. The ecstatic trance that Coat Woman is in … can I have what she's having, please? 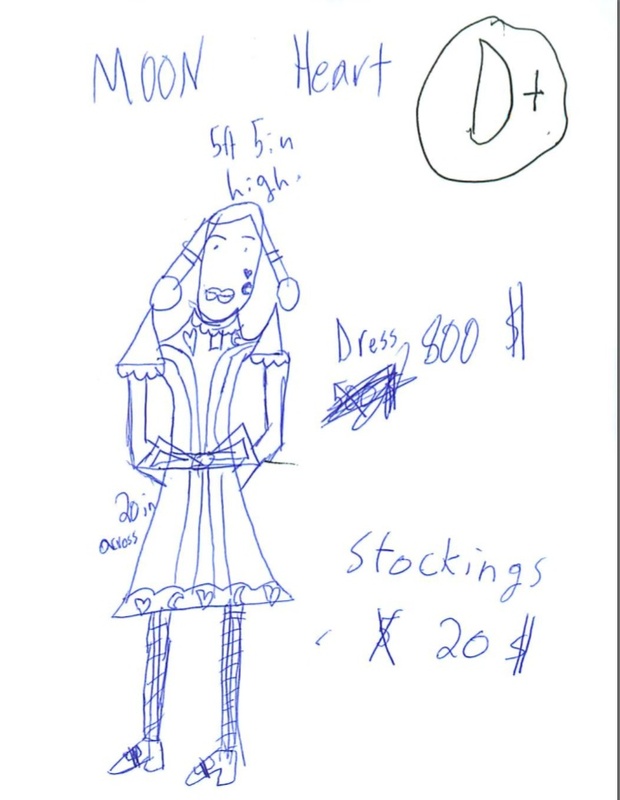 And I like that the original owner of the pattern had to re-focus attention to the actual dress illustration with the scribbled "This" — you know, since all eyes are so obviously elsewhere. Why don't we wear these coat/dress combos any more? I know it seems a bit overkillish (or inconvenient) to have a separate coat for every dress, but I really wish I did. And that they were weightless and massless, so that I could cram them all into my suitcase. Now that the weather's gotten colder my packing is always dependent on whatever coat I can take that will go with everything in my suitcase … and nothing ever does. I am currently searching for a green leather coat, which I think (ha!) will go with everything I ever wear. I want a single-breasted green leather vintage coat with a slightly frock-coaty vibe, and as far as I can tell, this Does Not Exist. (If you've seen one, you know where to find me.) Green goes with black AND brown AND gray AND the darker reds and oranges that I like, and leather can be dressy or sporty (and doesn't show dirt as much). And if it's vintage, of course, it has that kind of beat-up, broken-in cool … oh, why can't I find you, Perfect Coat? After his incredulous "REALLY?" we had a little talk about fashion designers, and how a lot of them were men … at which point he sat down and drew the above picture. I think he has a lot of promise as a fashion designer. First of all, he totally caught the zeitgeist thing that's going on; for another he's very self-critical (he wrote the "D+" on the picture himself when he was done). He even named the look ("Moon Heart"). Look for him on Project Runway in about … 2018.